Monday October 7th through Wednesday October 9th, the CEID collaborated with Undergraduate Career Services to host three career events. 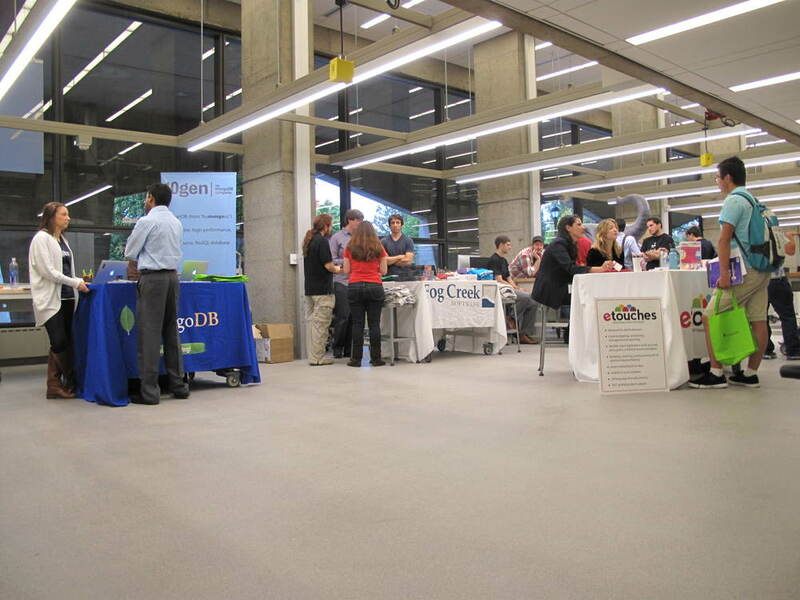 Advertised as UCS Networking Nights, the events allowed students to talk to representatives from companies and organizations in the STEM industries. Each of the three nights was geared towards a specific field. Software and computer science companies including Google, Microsoft, and Dropbox came on the first night. The second night, meant for mechanical and chemical engineers saw companies ranging from yet2, a group which connects technologies to funding and marketing opportunities, to Alcoa, the world’s third largest producer of aluminum. Companies like Pfizer were present at the final night for biomedical engineers. Representatives were eager to share about the work their organizations do. The events were a wonderful networking opportunity for students and companies alike, and offered students perspective on science and engineering outside of the classroom.